Some dining experiences are what I like to call bucket list worthy. You know the type I’m talking about, where every dish is a mix between a science experiment and fine art. The kind of dishes that bring your taste buds to life, amaze you with every spoonful and really must be experienced at least once in life. The king of this experimental yet refined food has to be renowned British chef Heston Blumenthal. Known for pushing the boundaries with food and creating dishes that really must be seen to be believed, a meal at one of his highly regarded restaurants should be on everyone’s to do list. I am no exception to the rule, so like many Melburnians a meal at his local restaurant Dinner By Heston Blumenthal was an absolute must. Demand to secure a table is very high, so it’s not uncommon to have to wait some time for a booking, particularly if you’re after a popular weekend time slot. Faced with a two month wait for a Friday booking, I was very excited to find availability on Australia Day, so naturally I snapped it up. Located on level 3 of the very exclusive Crown Towers complex overlooking the Yarra River and CBD, everything about this venue oozes class. The dark space is quite luxurious, booths are lined in brown leather and solid timber tables are surrounded by green velvet chairs. Atop the tables sits the finest cutlery, glassware and china. This really is fine dining at its best. The service is amongst the best I’ve experienced. Every member of the wait staff has a part to play and each are masters of their trade. The Maitre d attended to our every need, while the Servers were quick to deliver food to our table and the Sommelier was on hand to run us through the wine list, giving us detailed descriptions of every wine we asked about. 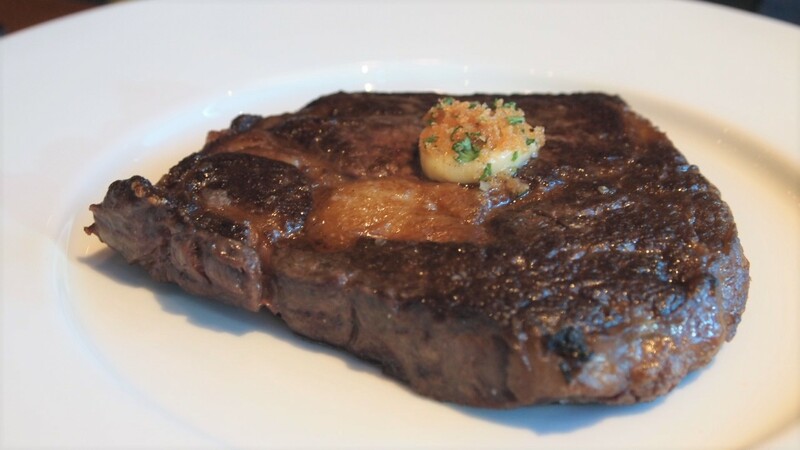 Given how renowned Heston’s creative food offerings are, we were hoping to enjoy the Chef’s Table which consists 10 dishes from his impressive menu, however to our disappointment this is reserved for groups of four or more. So with the help of the Maitre d, we selected a number of dishes to share between the two of us. At the top of our list was one of the most photographed and insta worthy dishes on the menu – Meat Fruit. Resembling a harmless little mandarin, within the delicate orange skin was anything but citrus. 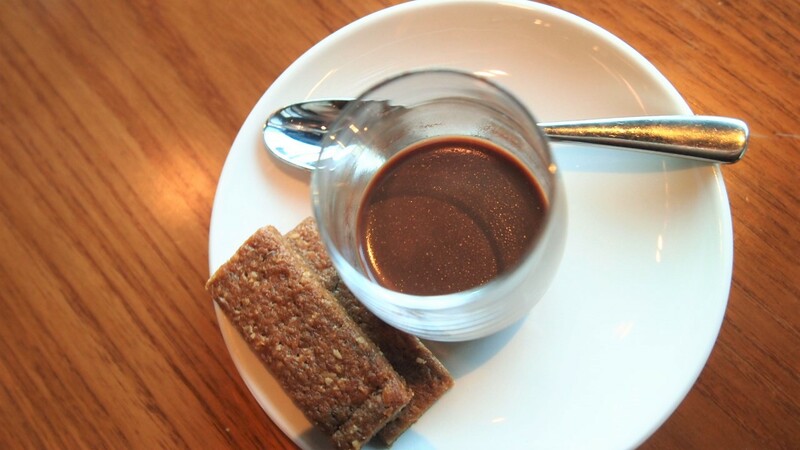 Cut it open to reveal a smooth, rich and incredibly flavoursome chicken liver parfait. Accompanied by a large piece of crusty bread, we lathered it in the parfait and savoured every mouthful. Without doubt the highlight of our visit, we could have easily gone a second serve. We were also impressed by the Rice and Flesh. 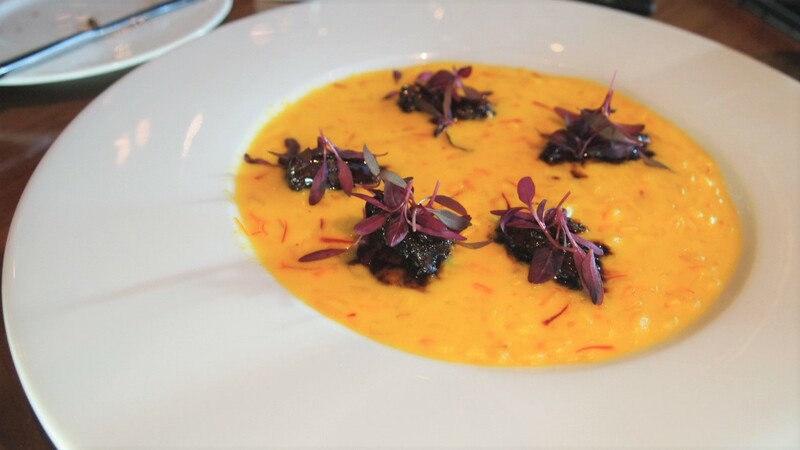 Tender grains of rice are mixed with saffron and mascarpone to create a creamy broth which is topped with a few beautifully caramelised pieces of curried Kangaroo tail. The meat was tender and full of flavour, working incredibly well with the rice. Such a strange mix of ingredients that perfectly complement each other. Our mains were just as good. The Black Angus Ribeye was just divine. This steak was incredibly tender. It melted as we ate it. Oh and those fries! Never in a million years did I think my post on Dinner by Heston would include anything about fries, but these fries were perfect. Crunchy and perfectly salted, we ordered two serves and inhaled them both. The Roasted Quails were also enjoyable to eat. 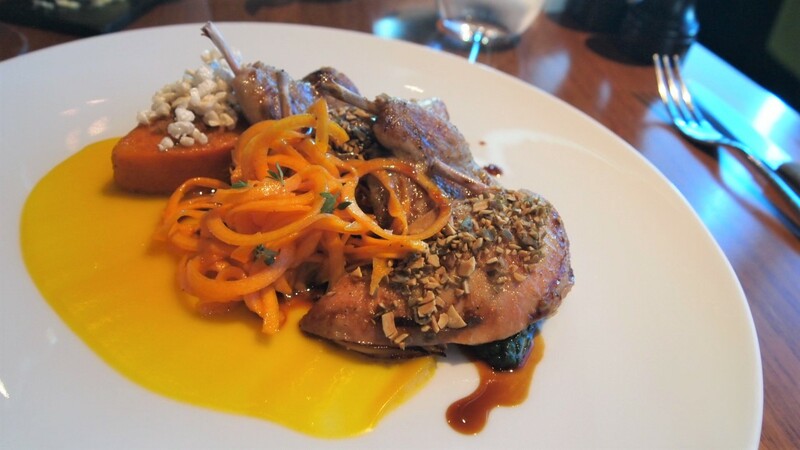 Larger than standard quails, the succulent breast pieces were cooked to perfection. Full of natural juices, they were only lightly seasoned so the quality of the quails spoke for themselves. 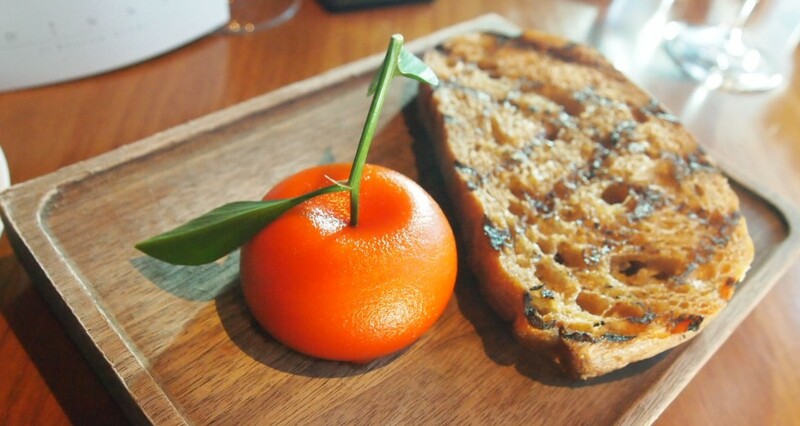 Served with a variety of pumpkin textures – roasted and puree, this was a subdued dish by Heston’s standards, but good all the same. Despite feeling pretty satisfied, we couldn’t leave without sampling a couple of desserts. I had my eye on the dish made famous by Masterchef – Eggs in Verjuice. 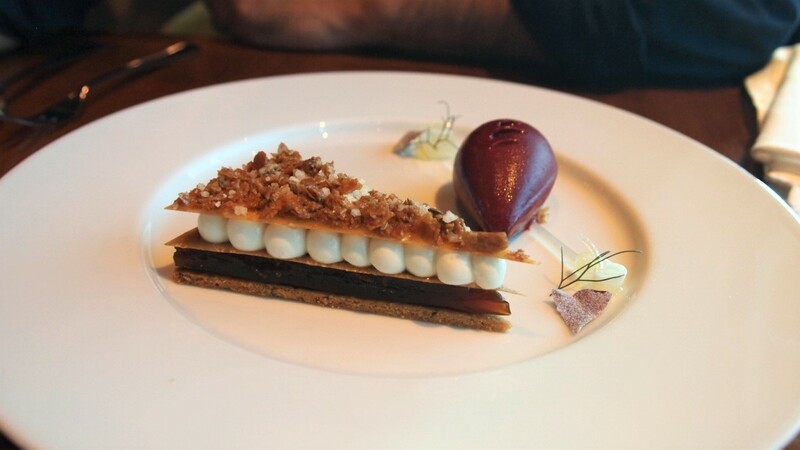 This dish is inventive and theatrical, just as you expect from Heston. 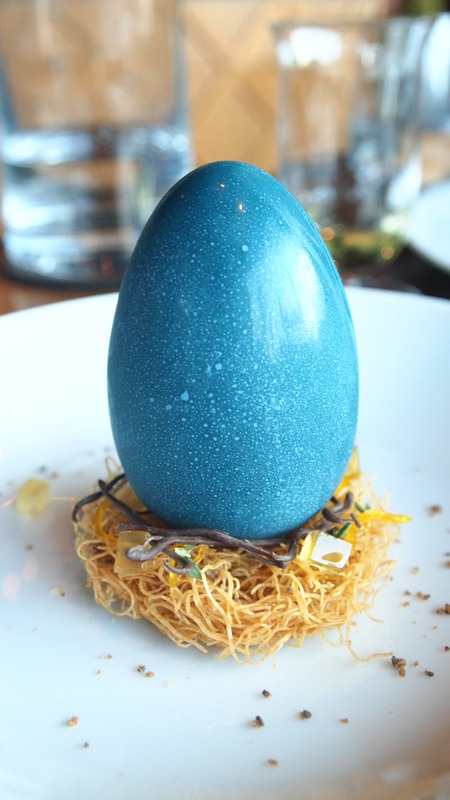 Crack open the tempered white chocolate egg to reveal a delicate coconut pannacotta with a citrus verjuice centre aka egg yolk, all of which sits on a bed of coffee parfait. Masterfully assembled, this is truly an exceptional dessert, in terms of both flavour and experience. You are living the dream, lady!! We’re going to be in London in November, and I’m already eagerly awaiting bookings to open – you’ve reaaallllyyy made me want to try that meat fruit!!! And that egg – WOW! I’m so jealous, London is the best! Enjoy and get the meat fruit, its worth every cent.